MFL Leinetal offers customer-oriented planning, consultation and implementation of complex projects in the areas of mold and tooling and contract manufacturing. Our specific strength is an innovative and creative project management, offering and optimally implementing economical solutions from the planning stage through to commissioning. Our machines and tools are state of the art while offering the highest possible precision and reliability. More than 60 experienced, motivated and committed employees guarantee a timely execution of even the most demanding tasks. We are active in many industrial areas. 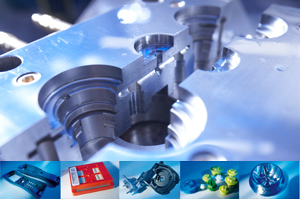 Our portfolio focuses on molds and tools as well as on machinery and equipment for the automotive and electronics industries, for machine tool manufacturing, and for the rubber and plastics industry. Our precision manufacturing also supplies companies in the bottling and packaging and measurement technology sectors. We manufacture forms according to individual requirements. This includes product development and prototyping for single or multi-component products, including the application of gas injection technology (GIT). We also offer individual processing and the multi-level production of components and devices for a variety of industries. Particularly noteworthy is the HSC milling with up to 42000 1/min, employed in the 3D machining of components as well as in the hard milling of complex inserts. Multi-sided machining and 5-axis simultaneous machining are equally possible. Our production uses modern and efficient machine tools. 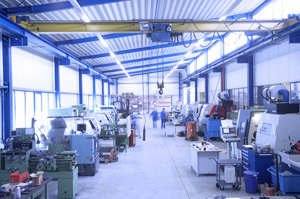 The factory workshops are equipped with hoists for work pieces up to 6 tons. Please refer to our extensive machine list for a detailed overview. Our energy concept came second in the competition “Effizienzpreis KMU” (“Efficiency Award SMEs”), hosted by the enercity-Fund proKlima and hannoverimpuls. 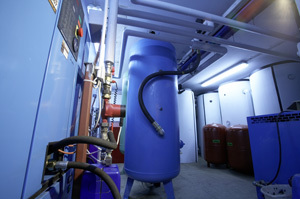 By utilising the waste heat from our compressor system we are able to save around 75 percent heating costs. Our modern lighting system saves more than 5 percent of energy on top of that. Thus, we are able to make our small contribution for a cleaner environment. 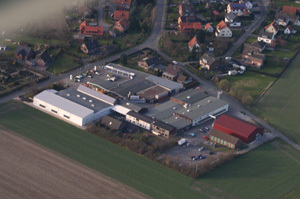 Our company started in 1999 under the name Formen- und Werkzeugbau Leinetal (FWL) in Neustadt, expanded in 2000 and moved to new premises in Basse. 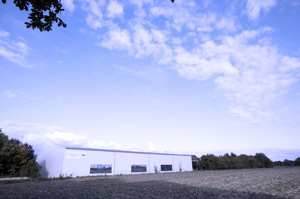 In the beginning of 2001, two independent companies started producing under the names Maschinenbau Neustadt (MBN GmbH) and Formen- und Werkzeugbau Leinetal (FWL GmbH). 2005 saw the merger of these two companies into the Maschinen- und Formbau Leinetal (MFL). Since 2011, MFL is a member of the Verband Deutscher Maschinen- und Anlagenbau (VDMA) [German Engineering Federation]. We are one of the leading centers of excellence and machining in the field of tool and contract manufacturing. We will continue to maintain and expand this position. We are committed to offering our customers the best possible service at competitive prices. We achieve this through customized solutions, qualified staff and a strong commitment to our customers. Our customers are our partners, they determine the success and the continued existence of our company. We will identify the needs and future demands of our customers as early as possible and meet them reliably. We will comply to the legal and customer specific requirements under optimal economic conditions, also covering quality (DIN EN ISO 9001: 2008), environmental protection (DIN EN ISO 14001: 2009) and operational safety (BS OHSAS 18001: 2007). We will continuously adapt and improve the management system (quality, environment and operational safety) according to all emerging conditions. We will generate clear competitive advantages for our customers and ourselves and be a reliable partner concerning environmental protection and operational safety. Our corporate culture is characterized by transparency and target-oriented cooperation. We will maintain an open communication with all interested parties. We perceive problems and errors detected as opportunities for innovation and improvement. Therefore, it is always our ambition to create more robust processes thus preventing errors. The qualification, information and motivation of all employees is prerequisite to the success of the company. We continuously strive to inform and support them through training, furthering their know-how and competence.